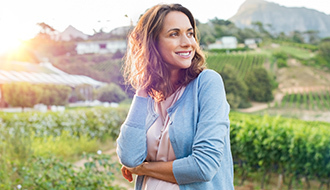 Hormonal changes are most common in women around the time of menopause (which typically occurs sometime between the late 40s and early 50s, although can vary). During menopause, the ovaries stop producing eggs. This also marks the end of monthly periods, and of fertility (the ability to have a child naturally). Some of these symptoms will resolve on their own within a few years; others (such as vaginal dryness) can worsen and may require treatment. Although the loss of oestrogen is responsible for most of the symptoms associated with menopause, it can be dangerous to supplement oestrogen on its own (increasing the risk of uterine or endometrial cancer), and so a synthetic form of progesterone, called progestin, is usually used in combination with oestrogen. This is called hormone replacement therapy, or HRT, and it can be taken as tablets, patches, implants, or in gel form. The doctor will provide you with all the necessary information, depending on the condition. If this test hasn't been requested by a doctor, please, book a consultation with one of our GPs to ensure proper management and follow up. These results should be interpreted by the requesting doctor. 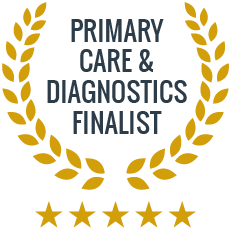 If the test was requested by one of our doctors, they will give you a call explaining the results and further management. If the test was requested by a different clinic we will email you the results to the email address you provided at registration. What is oestrogen dominance and can this be tested for? Yes, you can test for oestrogen dominance. This is a condition characterised by an imbalance in the body’s production of oestrogen and progesterone. Oestrogen dominance can cause severe PMS, perimenopausal changes, cysts, endometriosis, uterine fibroids, and issues with fertility. Perimenopause is the time leading up to menopause, when the production of certain hormones naturally begins to decline. Menopause happens, on average, around the age of 51, and perimenopause can begin any time from up to 8 years prior to this. Why do women experience so many more hormone-related problems than men? The main difference between male and female hormones is due to the simplicity of the male reproductive system. Men’s reproductive hormone levels stay relatively constant, as their main function is to produce sperm. In women, the complexity of ovulation and menstruation requires a more extensive chain of hormonal reactions, so there is a lot more than can go wrong.